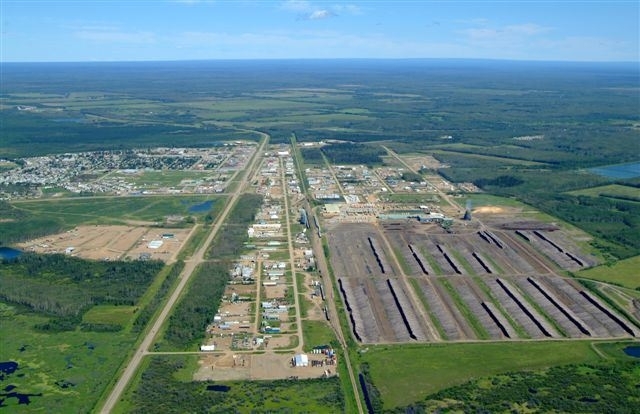 Amarjeet Sohi, Minister of Natural Resources and Member of Parliament for Edmonton Mill Woods, yesterday announced a series of Government of Canada investments for safety improvements at three Alberta airports. An aerial view of High Level in north-western Alberta. The funding round, which comes from Transport Canada’s Airports Capital Assistance Program (ACAP), includes spending $5,714,821 for the rehabilitation of Runway 13-31 and Taxiways A and B at High Level Airport located in the north-western region of Alberta on the Mackenzie Highway, approximately eight hours north of Edmonton. At Lethbridge Airport, $98,000 will be invested to purchase a de-icer. At Red Deer Airport, $271,450 will be invested to replace a wheeled loader, which is used for pulling snow removal or de-icing equipment.